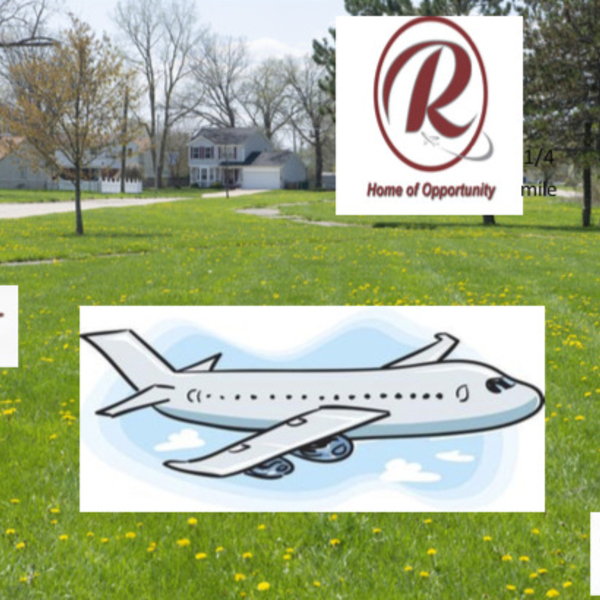 Play Everywhere grants | Southeast MI & Western NY | KaBOOM! The Idea Form phase is now closed. Winners will implement their projects within one year from the date that they are selected. Visit our Play Everywhere gallery to see completed projects or review designs from last year's Play Everywhere Challenge. Our Play Everywhere Playbook is a must read for communities considering Play Everywhere projects. It features case studies, design guides and more to help you make the best choice for your community. 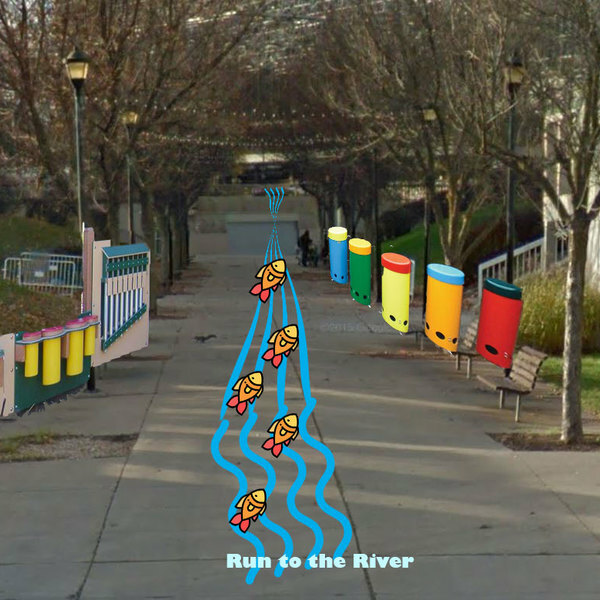 Explore the designs and descriptions of our 2018 Play Everywhere Challenge winners. Are you interested in the Play Everywhere Challenge and want to learn more? Not now, thanks! Return to the Play Everywhere Challenge. 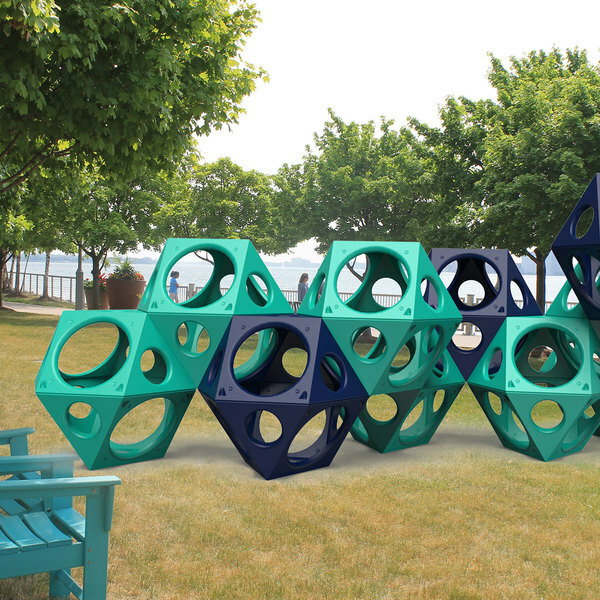 Designers Julia Jamrozik and Coryn Kempster are teaming up with the City of Jamestown Parks, Recreation and Conservation Department to install Breakwater. This project is designed to promote awareness of the new bike path and create a new social space where people from different backgrounds can meet. 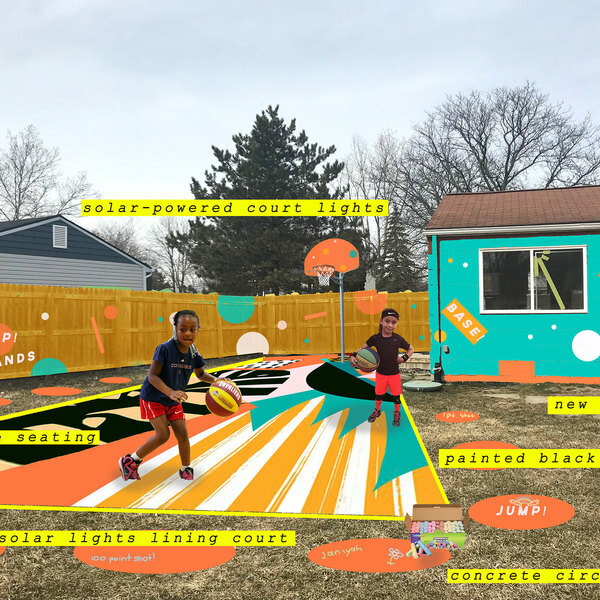 Community Action Network’s project, Bryant Community Court, will transform a backyard space from an empty lot into colorful basketball hoops, murals, jumping games and solar-powered lighting that will extend playtime in fall/winter months. 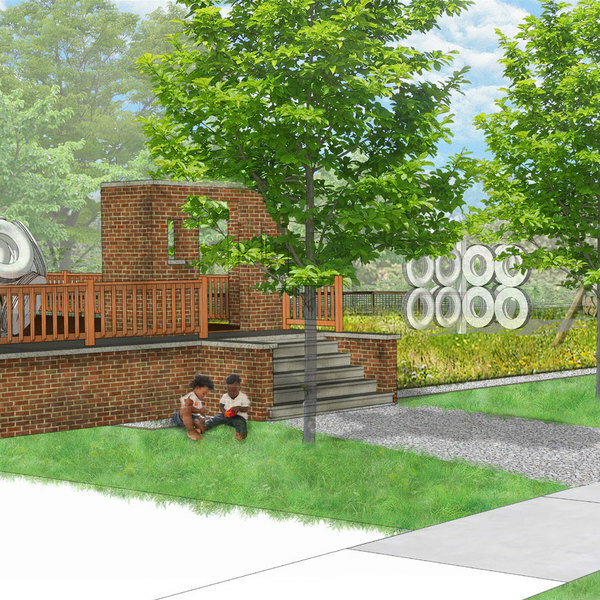 An interactive play trail including musical elements, sidewalk games, and river-oriented features will connect the projects in the Riverway initiative to The Strong Museum of Play, allowing kids and families to play along the way as they go to the library, wait for the bus and/or go to classes at the Rochester Educational Opportunity Center. Elevate will transform a currently hazardous empty lot behind a busy bus stop into a safe place for kids and families while they wait for public transportation. It's designed to help kids navigate natural landscapes and includes hills equipped with built in tunnels, ladders, and a maze. Finding Fun Downtown will include concrete chess, foosball, tennis tables and corn hole boards. 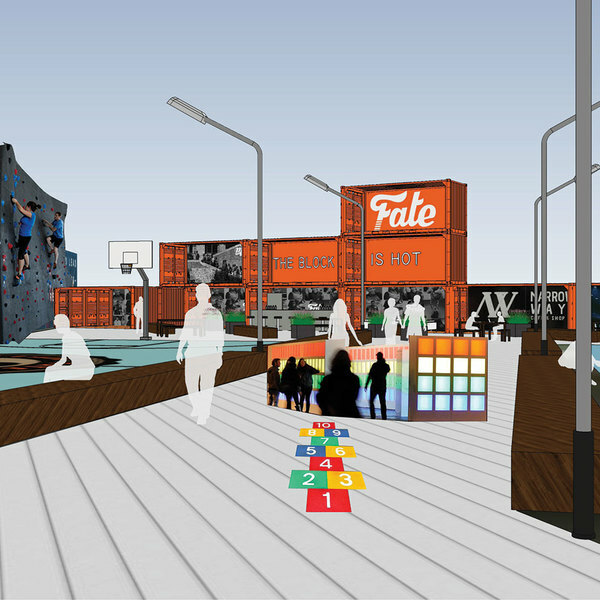 Each item has been selected to engage adults and kids, and to be accessible to multi-ability levels, helping to provide a safe playspace for kids and increase foot traffic to the downtown area. 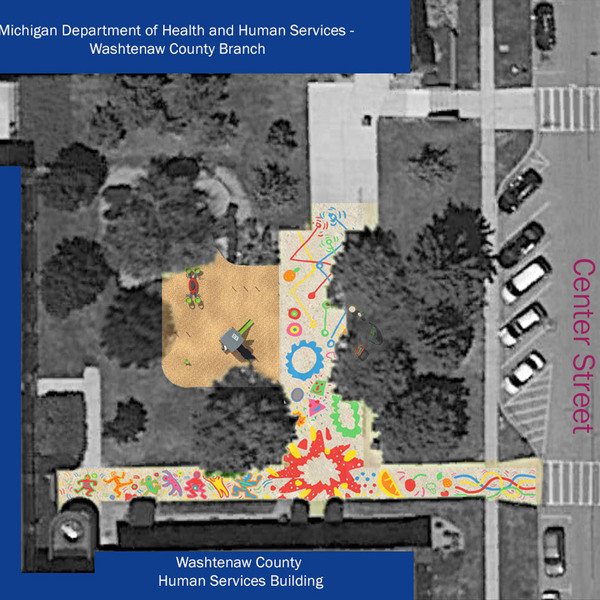 The project will combine a set of intersecting play walls featuring chalkboards and murals with a wooden stage at the intersection featuring work from a local artist. There will also be space for kids and families to create with chalk paint, and the housing commission will provide programming at the site each summer. 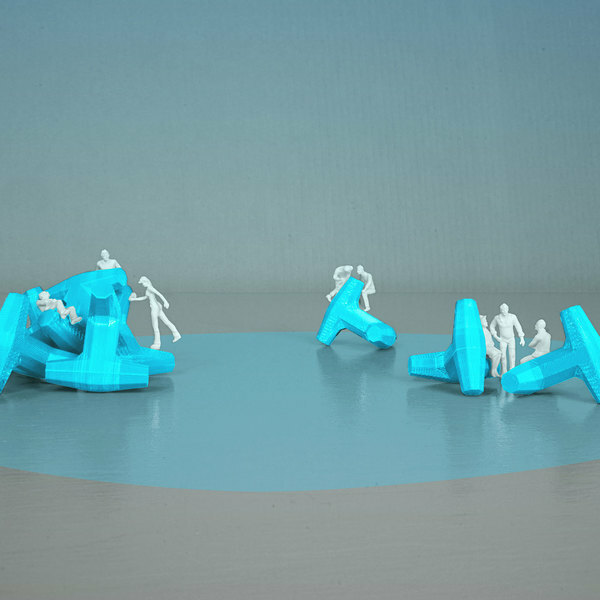 Located at a park the organization is currently building on two vacant lots, the idea combines a light up wall and hopscotch made of tiles that collect energy and will power the wall. 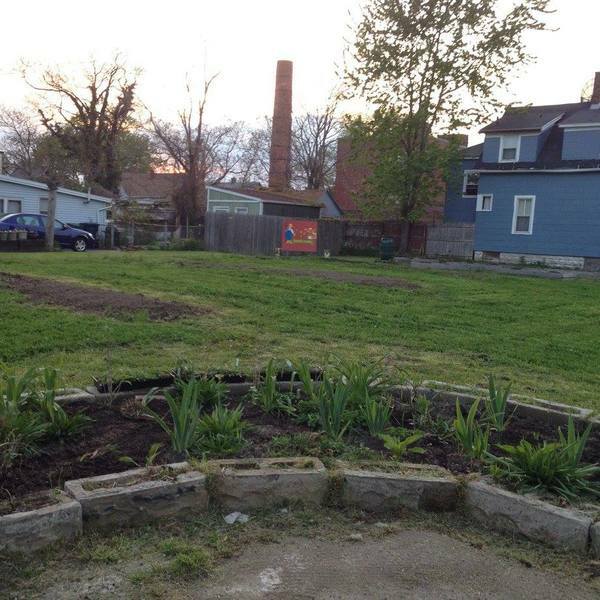 The goal of the project is to help recreate a sense of community within Detroit, and long-term, help teach the community about renewable energy. A series of murals and interactive sidewalk games will be implemented at different sites, each with a STEM and water element focus. The murals will potentially be made into a city wide scavenger hunt with stops at community performance spaces, a local park, the art center, the YMCA and a popular transit stop. The installation will include two ramps that will allow kids and families to sled during the summer using tubes, skis, sleds or snowboards. 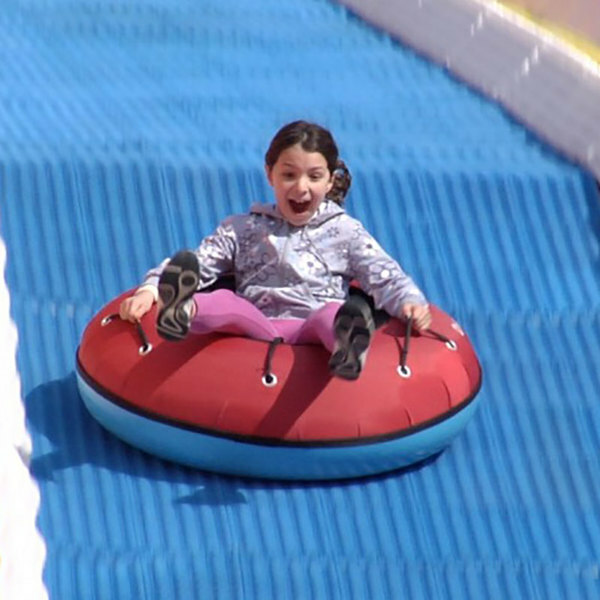 There will also be a variety of materials used in the ramps and at different slopes to accommodate all kids of varying abilities and experience levels. In an effort to destigmatize social services buildings and help families claim the space, the project will bring a playful pathway to draw kids and families from a busy bus stop, through the atrium of a service building, and into a safe and fun courtyard complete with colorful games, a mini farmers market and climbing structures. 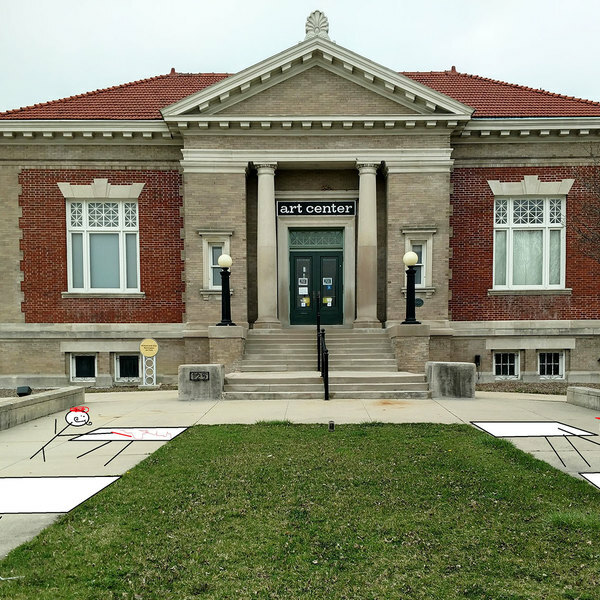 The Black Rock / Riverside Alliance’s project, Playing Through Time, will bring three interactive stops along a playful path – each with a unique theme encouraging kids to learn more about the rich cultural history of the community. Play it Forward 'n Graham Soccer Park! 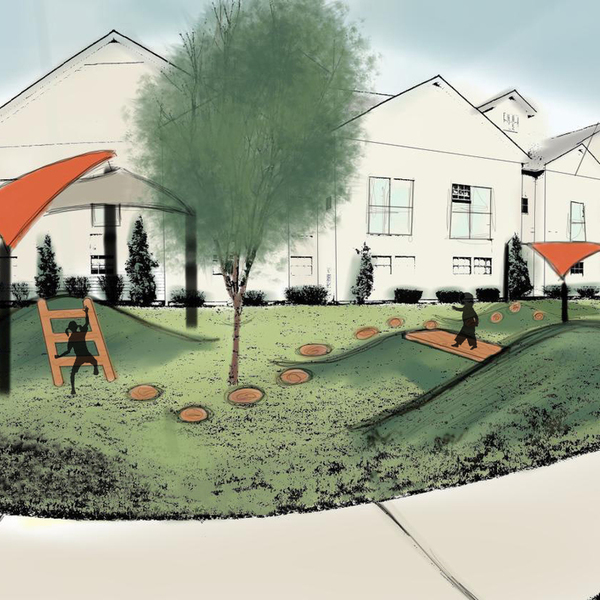 Located in a community with a large population of immigrant families from the Middle East and North Africa, in which many expressed interest in having a community soccer field, the playspace will also have a soccer obstacle course, crocheted hoops that kids can climb or shoot balls through, swings, a sensory climb structure and a walking path. 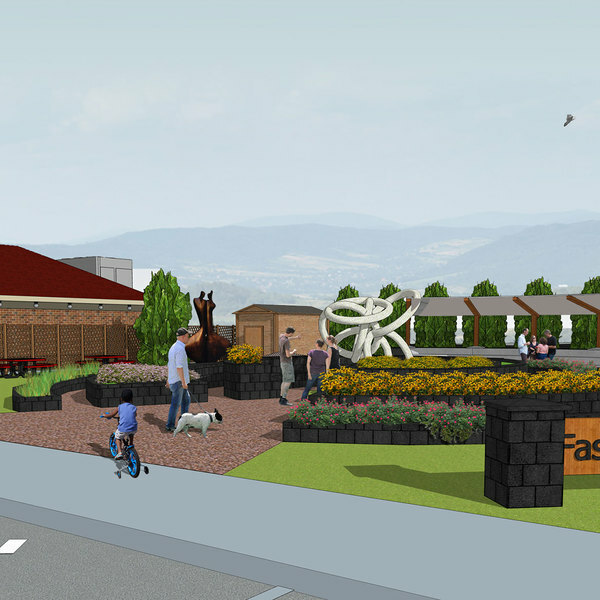 Playspan will bring sensory activities to a covered pedestrian bridge – such as light filters that cast colorful shadows, telescopes that can be used to view the surrounding community and a touch garden designed to let families experience different natural textures. A lot with a house set for demolition under The Fitzgerald Revitalization Project will be transformed into a space that reflects community history. Amenities include multi-generational seating, reclaimed platform, tunnel and tire structures allowing kids of all ages to climb and play, and plants and signage encouraging sustainability education. The Detroit RiverWalk is one of the city’s most visited attractions, particularly the four green lawns (garden rooms) set just off the walk. 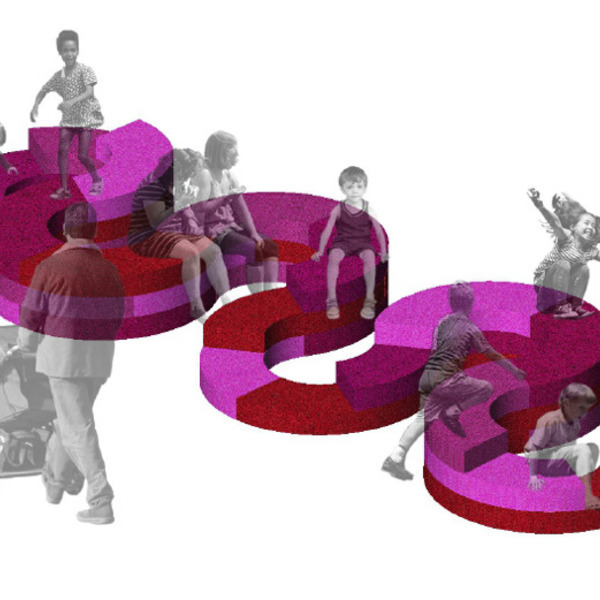 The project, located in the garden rooms, will offer a unique shape to foster kids’ imaginations through colorful geometric shapes and invite visitors to come explore and imagine. The project will create artistic, creative play opportunities that pay homage to the cultural heritage of the residents from the neighborhood. 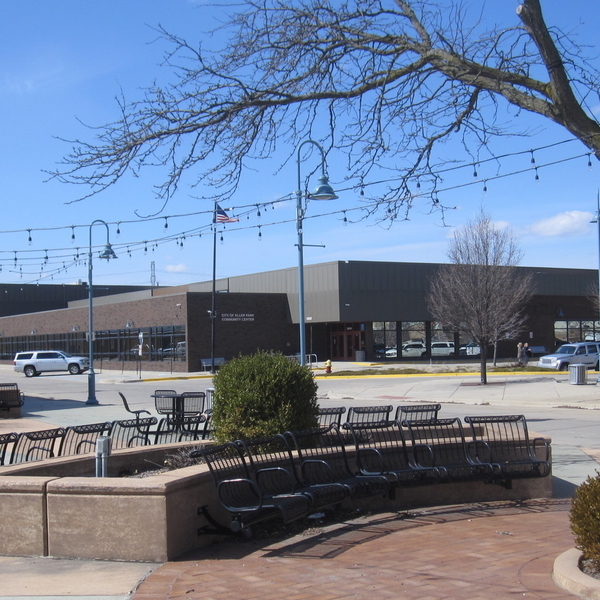 including pedestrian pathways featuring tradition tile/textile patterns representing diverse cultures, and play pads with interactive sidewalk games. 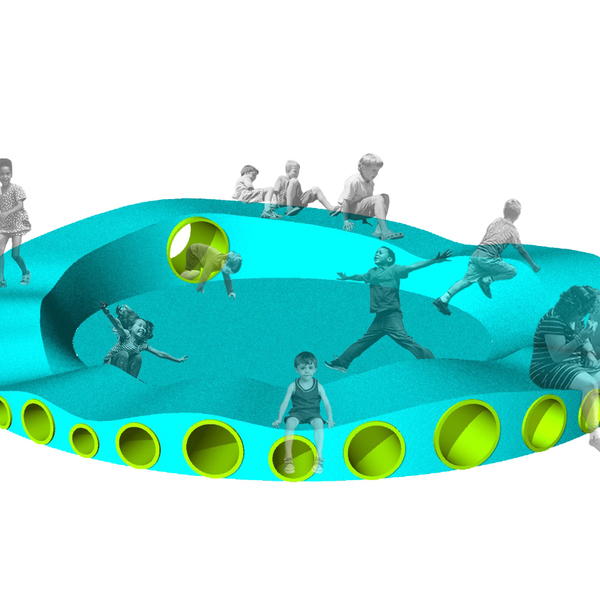 Roundabout is designed to offer a less formalized play opportunity by allowing kids to occupy the top undulating surface through crawling, climbing, walking and even running while being protected by the soft perimeter; and also have quieter zones to retreat to for some peaceful play. An 18-hole public art nano-sized golf course will be developed, helping to increase physical activity, safety and a sense of community. The course will be a total of 1.5 walkable miles and has support from both the community (non-profits/churches) and the City of Buffalo. 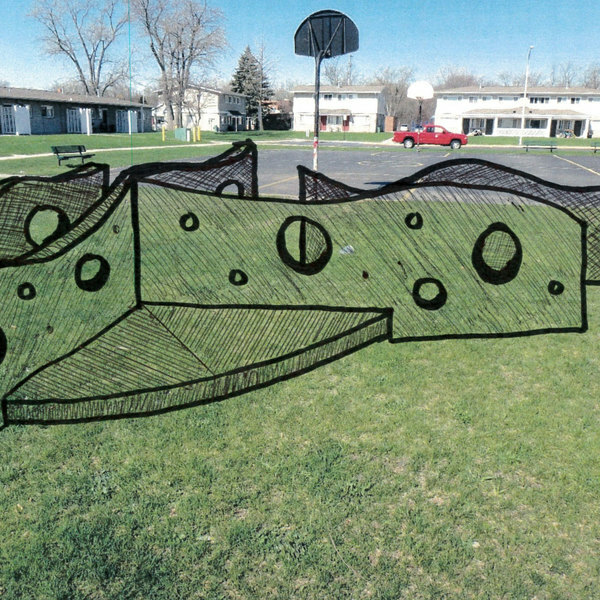 A colorful, shapeable, snake-like structure called Serpentine will be located outside the school building, accessible to all community members. The installation is designed to foster more social interaction among families during pickups and drop-offs, and can also be used by reading groups as a gathering place. AFRA is a non-profit that uses artistic, cultural and sustainable educational programming to enrich the lives of residents living in rural communities. 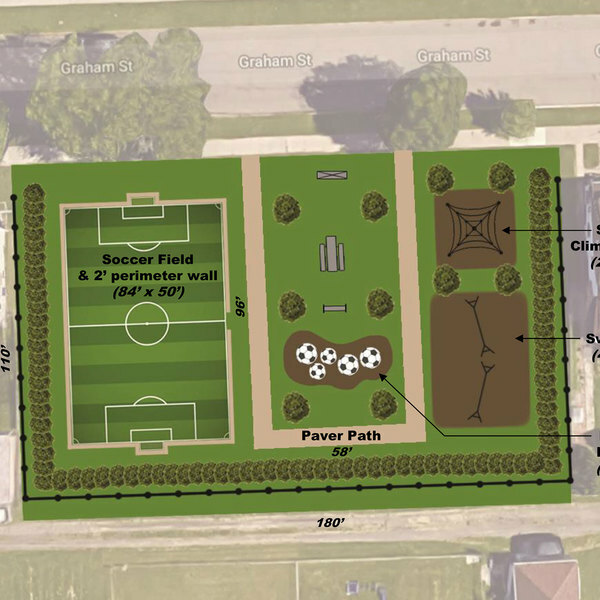 The Fassett GreenSpace is aimed to enrich kids’ quality of life through the arts, and provide opportunities to play, learn environmental stewardship and develop a stronger connection to community. 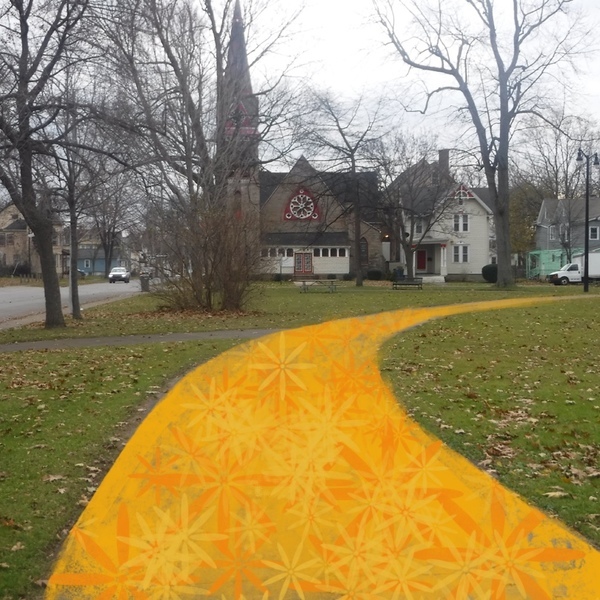 This project will transform the public space of Walkable Olean into a wonderland with opportunities for kids of all ages to play. 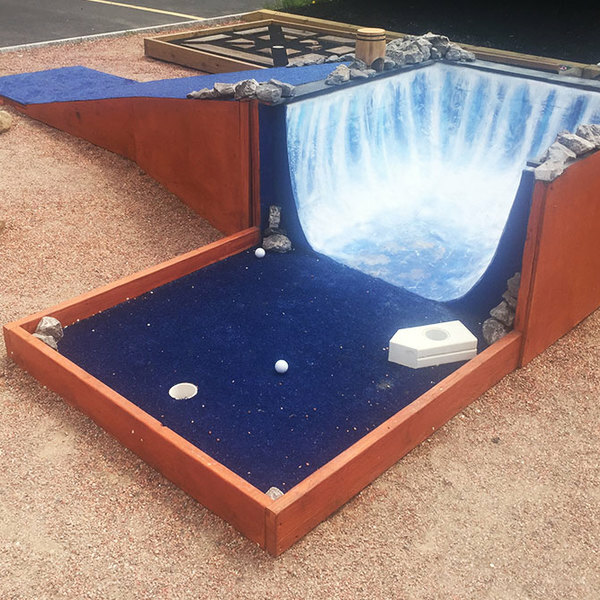 Activities include a rock climbing wall, LED glow swings, a train station playground, climbers, tunnels, slides, oversized musical instruments, an outdoor ping pong table and seating. 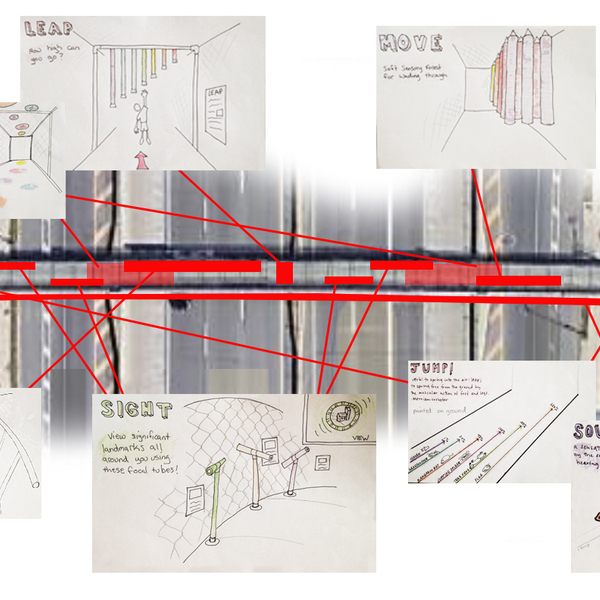 The pathway will include a one-mile trail of graphic art embedded in the sidewalk for "voyagers" to follow, a series of urban periscopes to discover and explore along the way and a trailhead performance space to use as a destination that includes outdoor instruments to stimulate a celebration. Walk, Talk & Play on the Boice Parkway! 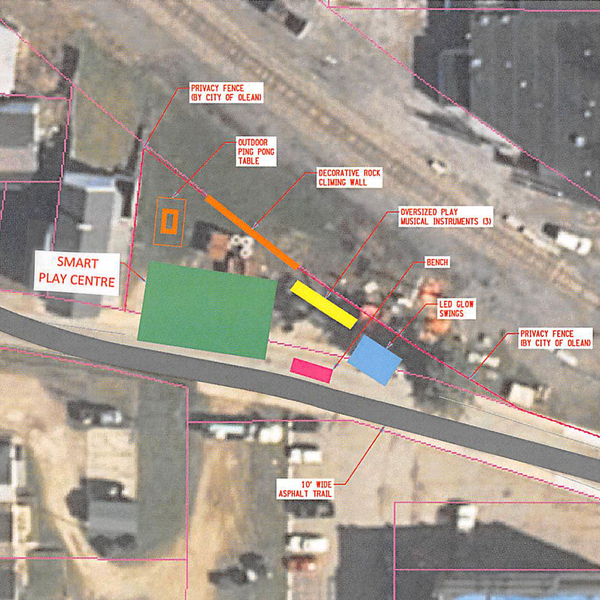 The city will implement a play pathway that winds through the neighborhood and connects two city parks. It will include a large plane for kids to play around, life-sized checkerboard, musical play area, ping pong tables and interactive mile markers to inspire exercise along the route. 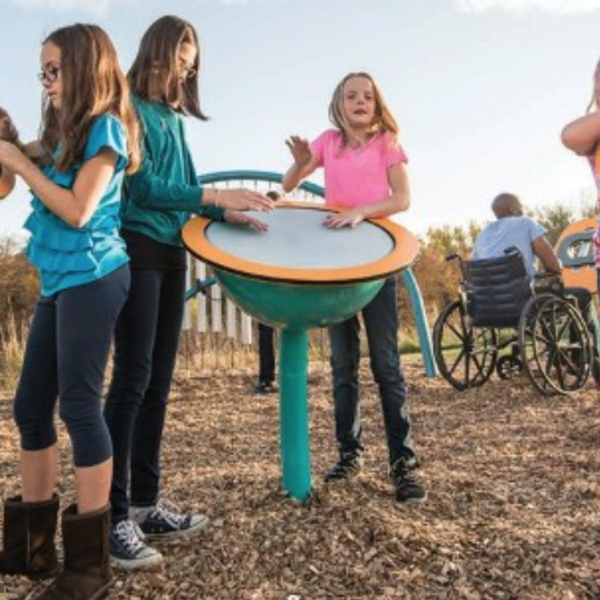 The Built to Play initative aims to give kids in Western New York and Southeast Michigan more opportunities for unstructured, kid-driven free play. This need was identified in the regional "State of Play" reports conducted by the Aspen Institute and supported by the Ralph C. Wilson, Jr. Foundation, and through research conducted by both Tony Hawk Foundation and KaBOOM!. 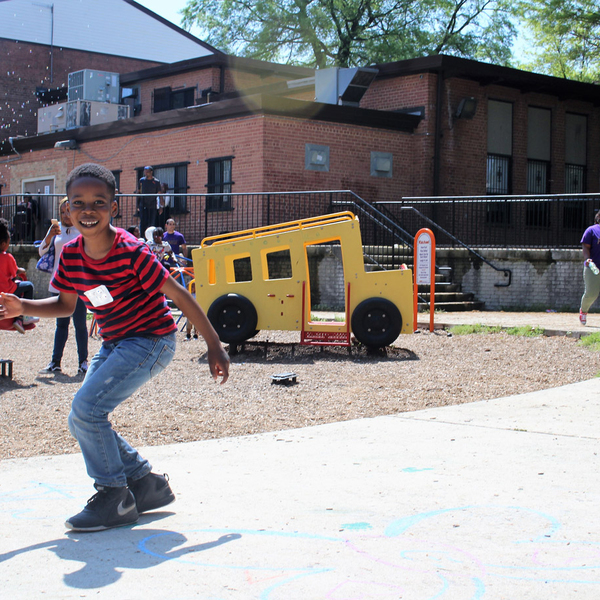 In addition to the Play Everywhere Challenge, Built to Play is also funding Unique Playground Builds through KaBOOM! and Community Skateparks through the Tony Hawk Foundation across both regions. Learn more about the Ralph C. Wilson, Jr. Foundation and these opportunities by visiting www.RWBuiltToPlay.org.